When we refer to a small service website, we strictly refer to its size. There might not be anything “small” about the service that company provides. Just like – I’m sure you know – there’s nothing small about small businesses in general. What is a Small Service Website? A small service website is a website that sells or promotes a service, whether business-to-business or business-to-consumer, and has around 10 pages or so. Who Needs a Small Service Website? Typically small businesses that sell a single service or a few closely related services. Many local businesses could use a website of around 10 pages. Such as: a restaurant, coffee shop, florist, law office, small medical practice, consultant, insurance agency and more. Small non-profit agencies can also benefit from a small service website. What Does it Typically Include? The typical pages of a small service website are: the homepage, services (1-5 pages), about us, clients, contact, a blog or news page, and possibly 1-2 pages that are specific to their industry. The navigation is usually compact, with subpages in the Services menu item. We only count the Blog or News page as one page, though it certainly includes a series of posts and category pages, dynamically aggregated. 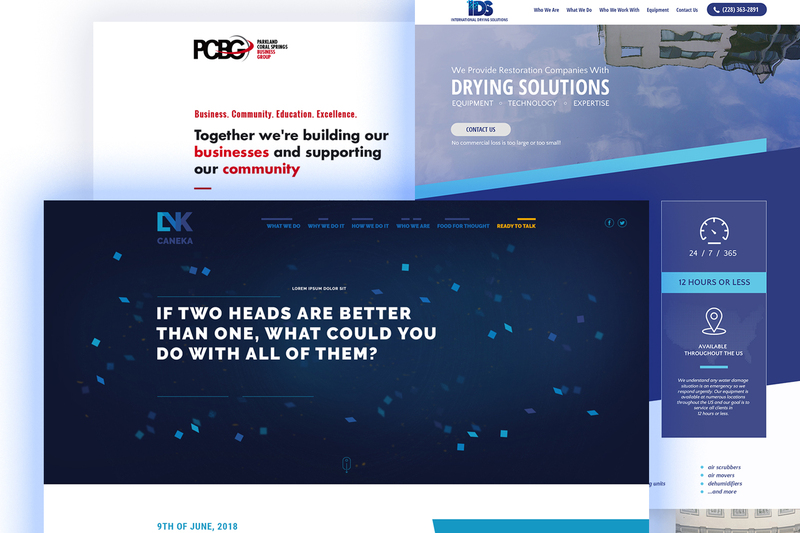 London-based business consulting / performance coaching firm Caneka has debuted their services with a small service website as original and as bold as the strategies they teach their clients. Six pages and a blog is all it takes for them to make a big impression. Caneka is not for the faint of heart. Their targeted client is an individual that’s ready to commit in their own development. There’s a lot of text. In a world of distracted people that read headlines and bullet points only, Caneka dove deep and filled their pages with information. We invite you to visit the website and browse through the content pages. See for yourself how even a text-heavy website can be exciting to browse through and visually captivating. 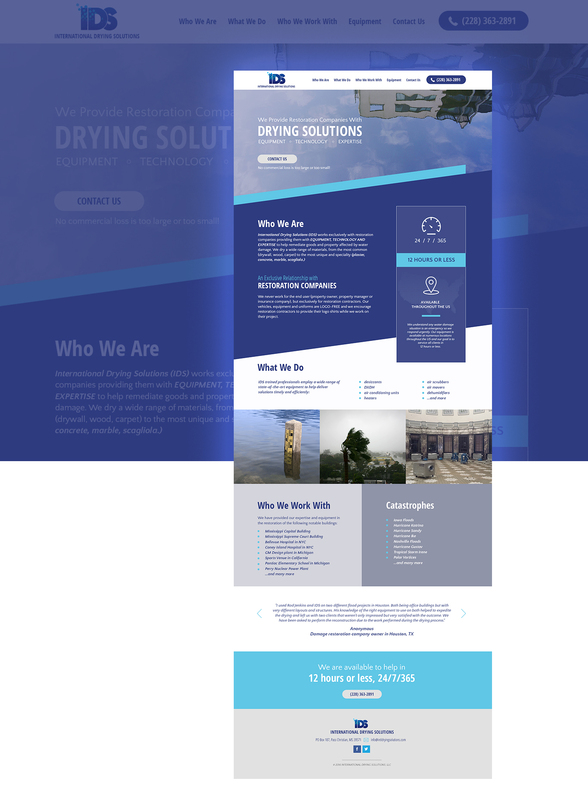 The website was planned to include all the essential information, such as what the service is, who they work with, testimonials and examples of past jobs, capabilities and contact data. The Parkland Coral Springs Business Group is a local business networking non-profit that supports its members and the surrounding communities. 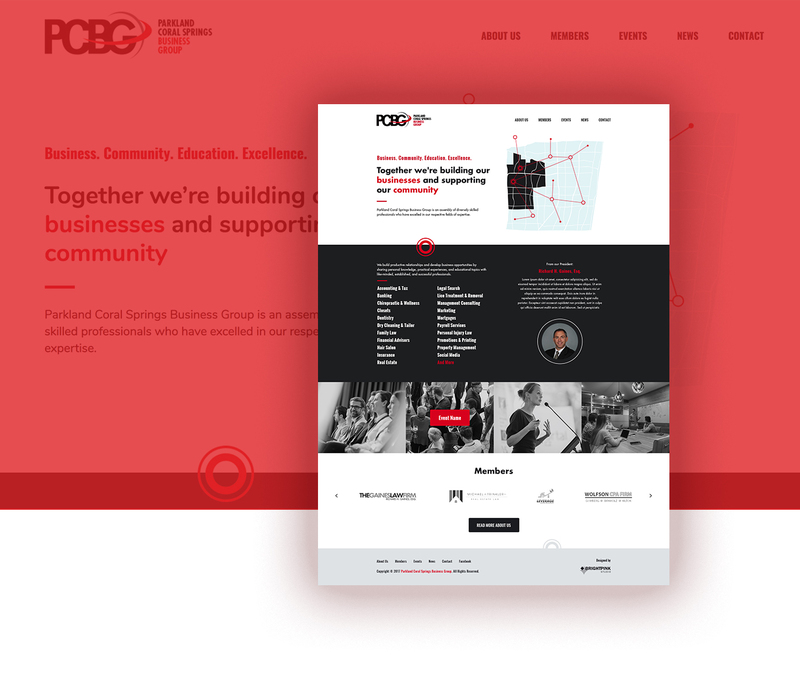 In 2017, we gave the website of Parkland Coral Springs Business Group (PCBG) a complete makeover. More than a redesign, the club was in need for a practical solution for keeping its website content current. Tasks like adding or editing members, managing events and keeping the news section fresh no longer take weeks or months to complete. Once we rebuilt the website in WordPress, keeping it current is hassle-free. More so, with a more current content, it’s easier for members to find the information they are seeking. It’s also easier for prospects to learn more about the club. The new website design is not just beautiful and modern. It is also up to date with current standards in web technology and in Search engine optimization. The layout is responsive and adapts easily on all device screens. And it all was accomplished with just six main pages: homepage, about us, members, events, news and contact. Of course, the members page has several dozen subpages (one for each member), but they all follow the same format. The events and news pages also aggregate content in a blog-like format. All in all – a small service business format that’s easily applied to a non-profit website. Do You Need a Small Service Website? We’ll be happy to help. See our pricing and give us a call!